For years, smoking was the popular method of consuming cannabis. 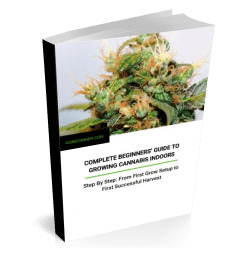 However, with the growth of the cannabis industry, more innovative methods were created. The use of cannabis flower in vapes is one of them. Before you jump into vaping cannabis, there are certain things you should know about both vaping in general and vaping cannabis. 1 Is it healthier to vape cannabis than to smoke it? 3 Should I opt for a stationary or portable vaporizer? Is it healthier to vape cannabis than to smoke it? That depends on how you define the word “healthier.” Yes, vaping doesn’t have as powerful an impact as regular smoking on your health. A study found that the impact of vaping on the respiratory system was less than that of smoking, but that doesn’t make it harmless. The studies are still ongoing regarding the long-term effect of vaping cannabis on the human body. Another study shows that the consumption of tobacco from vaping is less harmful than cigarettes. Which means that in general, vaping isn’t as harmful as smoking. This is due to the lack of actual tobacco presence and no combustion. The aerosol in vaporizers contains fewer carcinogens than cigarettes and the effect they have on your body is damaging to a lesser extent. The process of vaping is different from smoking in the sense that a flame is not directly applied to the plant. Different heating elements are used and the cannabis is heated at a lower temperature. The effectiveness all depends on the vaporizer used. Cannabinoids need to be heated at around 280 degrees F. Most vaporizers can reach this level so the effects are similar to those of smoking. Cannabis is known to treat asthma, acute pain, as well as improve a person’s overall well-being. Vaping the substance will help treat the user in a much better way. It provides them with the same benefits but without harming the body to the extent of smoking. Should I opt for a stationary or portable vaporizer? Portability is important if you want to vape, you should be able to easily carry it around wherever you go, so a portable one is your best bet. However, most portable vape pens aren’t as strong or don’t have as many features as a stationary vape. If you plan to do your vaping mostly at home then opting for a stationary vaporizer can give you a much better experience. With cannabis, there are three options. Wax, also known as dab, hits the throat hardest, but this means it is the most flavorful of the three. Oil also provides great flavor but it has a weaker hit on the throat. Finally, vaping herb gives you less flavor but it’s also the easiest on your throat. When looking for an e-juice you will need to know about vegetable glycerine (VG) and propylene glycol (PG). Either one of these ingredients is combined with nicotine and flavor to create e-juice. If the juice has a higher PG, it hits the throat more but tastes better. On the other hand, higher VG value means that the juice will have a certain thickness to it and give you a weaker flavor. Throat hit also depends on how many milligrams of nicotine you select and what kind of device you are using it with (higher voltage, lower resistances etc.). There is such a thing as vaping too much but the risk of overdosing is minimal. The most that will happen is you will feel nauseous. The human body itself produces a version of cannabinoids (endocannabinoids) and they seem to play an important part in regulating inflammation processes. Although your body is accustomed to having cannabinoids in its system that doesn’t mean you should be careless and overuse your vape. As with cannabis, the same goes for regular nicotine vapes. According to Medical News Today, the adult human can survive a dose of 50 to 60 milligrams (mg) of nicotine. Considering that an average user goes through 2-5 ml of e-juice a day, it is not very likely that someone will overdose with only vaping. Tip: Some cannabis vapers like to have a separate CBD vape on hand, just in case. Because CBD balances the effects of THC. So if you’ve got a little higher than you wanted, a quick toke on the CBD vape should help level you out. You don’t need to worry about rolling paper, a lighter and what not to vape. 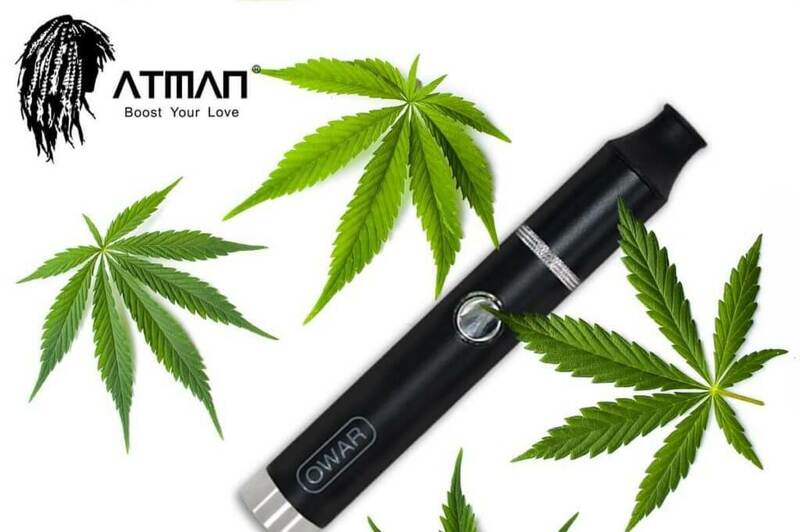 All you need is the vaporizer and the herb, oil, or wax you will vape with. Not to mention that a vape’s a much better look when you’re out in public. You need to pay close attention to the coil of the vaporizer. After a certain time, it wears out and needs to be replaced. You will know when to replace because the taste of the vapor will not be as strong when the coil wears down. Be sure to check with an authority of the public space before you decide to vape. Airport, bars, and cafes, along with other public spaces have set rules against smoking and vaping. The last thing you want is to be caught vaping where you shouldn’t, even if it is legal in the city. If you’re in Canada, check this post to see whether and where public cannabis consumption is permitted in your province. Like any other battery, you need to be careful when charging the battery of your vaporizer. Only charge with the charger the vaporizer comes with. Don’t leave it on charge for too long to avoid overheating. Taking it off charge once fully charged also ensures the longevity of the battery. When the battery is left on charge for too long, it weakens. Numerous studies have shown that cigarette smokers may reduce their consumption of cigarettes thanks to vaping. However, it doesn’t effectively help them quit cigarettes, that is something each person has to work on by themselves. Vaping can be a good gateway to stop smoking completely, but don’t think it will happen all by itself. When vaping non-cannabis vapors, you are exposed to nicotine, the same substance that makes cigarettes addictive. You may even be exposed to more nicotine through vaping as there are extra-strength cartridges, which contain significantly more than your regular e-juice. So if you are just looking for occasional recreational use you may want to pay attention to the type of cartridge you use. There are also nicotine-free e-juices on the market and if you really want to try and stop smoking completely, this might be the right solution for you. There are a huge variety of vapors in the market; you can find almost any flavor you want. From chocolate to your favorite cocktail, soon you will find yourself trying them all. When it comes to cannabis, you can also find them in numerous different flavors, from watermelon kush from Hemp Bomb to strawberry milk by CBDfx. The choice is all yours to make from a seemingly infinite range of vapes to juices. So why not give it a try and join the vape club? Douglas Pate is an electronic cigarette and vaping expert working in the industry since 2010. Co-founder and President of White Label Juice Company, an industry-leading manufacturer of quality e-liquids and vapor products, Douglas and his company are passionate about vaping as a means of harm reduction and helping people switch and stay off analog tobacco products.